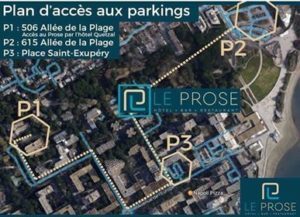 2 expressways (20 kms in each case) connect La Grande Motte till the A9 Highway. Take Général Leclerc Avenue. On the next roundabout, turn right and go on Melgueil Avenue. On the following roundabout, turn left on Allée du Vaccarès. Montpellier-Méditerranée Airport is 10 kms from the hotel. Montpellier TGV railway station is 21 kms from the hotel.